On a freezing Friday night in Brooklyn, a group of 18 Crown Heights residents scurry through the crowds of Jews leaving synagogue and make their way to a second-story apartment on Rogers Avenue for Shabbat dinner. After a ceremonial blessing over wine and bread, the guests get to talking. A disc jockey, graphic artist and rabbi are having a heated discussion about Chabad’s influence on Indian meditation, while a photographer is explaining to a pregnant lady why Mitzvah Tanks, Chabad’s outreach vehicles, are the most brilliant thing to happen to planet Earth since Miles Davis. This is not your typical Shabbat dinner in Crown Heights, the worldwide headquarters of the Chabad movement. While nearly all the participants were raised in hasidic homes, most have strayed from strict religious practice. Yet rather than flee the neighborhood, they have chosen to remain in the heart of the Chabad community. 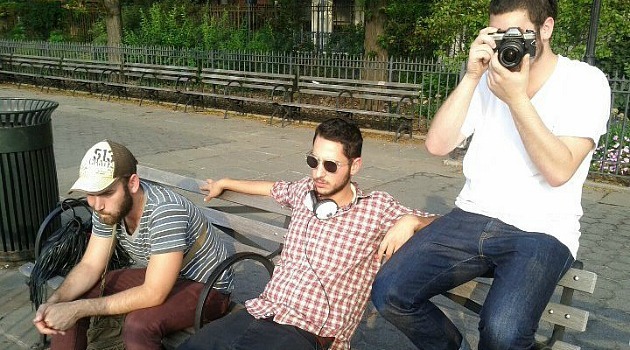 Toron and his friends are part of a community of Chabad misfits who, while not fully embraced by the Crown Heights mainstream, are beginning to find a place for themselves in an outwardly conformist community. His apartment has gained a reputation as the place people go to party, relax or escape the neighborhood’s rigid social norms – a situation that is virtually unthinkable in other hasidic communities, which are more likely to shun members that don’t fully abide by communal standards. One of 13 siblings raised in a Chabad family, Toron kept his sexuality a secret through years of religious camps and schooling, including a stint in a rabbinical seminary. He finally came out to his family four years ago, and still maintains some religious practices – keeping a full beard, covering his head and learning Tanya – though he doesn’t associate with communal institutions. He does attend a new synagogue, however: Chevra Ahavas Yisroel, or CAY, led by Rabbi Chezzie Denebeim, a 27-year-old Californian, and his wife, Sima, who pride themselves on creating an environment open to everyone. Compared to a typical Chabad synagogue, CAY is revolutionary. Board members are mostly women, who are permitted to lecture and sing along during services, and there is no dress code. Social events are coed, without a mechitzah gender partition. The synagogue has been around for two years and recently purchased its own space, despite occasional opposition and criticism from the community. The community around CAY has become something of a magnet for the wayward children of Chabad families from across the country. Aviva Bogart, the 21-year-old daughter of a Chabad rabbi in Massachusetts with a partially shaven head, says more misfits have been moving to the area. When Toron first came out as gay, his mother cried incessantly and begged him to go to reparative therapy, fearful of the ostracized life he would live. Today, Toron has a boyfriend and says he is happier than ever. Not surprisingly, not everyone in Crown Heights is embracing the new arrivals. Last week, Bogart said a stranger approached her while she was walking to synagogue and demanded that she pull down her skirt. Bogart said there is an old-school mentality within the community, but she thinks it will change as CAY grows. “Sure, I’m afraid to mix the pot and change things up, but there’s no other option,” Denebeim said. “Everyone here is status quo and that is a very dangerous thing.